Does the neck have an adjustable truss rod? BEST ANSWER: I bought mine on sale for 25. Anyway, a neck adjustment rod would make 0 sense in a ukulele. You won't find one in a 2500$ use, either. The string tension is very low, as these are short, short nylon strings. For the same reason, it's easy to play, no adjustments necessary. The neck is only 8 inches long. There would be no way to adjust it with a truss rod. Hope that helps. Hi. I don't exactly know what that means...but I don't notice anything adjustable on the instrument except the tuning screws (for tuning the strings. I really like the instrument though...way better than any others I found for the price. This uke does not have a truss rod. I think it is uncommon for a soprano or concert uke to have a truss rod. This uke is an absolute bargain. Comes with a nice bag too! Have you been able to compare the sound with other more expensive models? Yes I have! To me, this is what a uke should sound like. I have had quite a few ukues up to $800 in price. This is a really good sounding uke. So cheap! Go for it! Thanks for the answers folks - gonna order one - looks in the pics like the bridge will have to be shaved down some given how high the strings sit over the end of the fretboard. There isn't an adjustable truss rod, not that you would need or necessarily want one for an instrument already so small in size. No, there is no need for that on an instrument this small. I'm just concerned about getting the string action reasonably low. 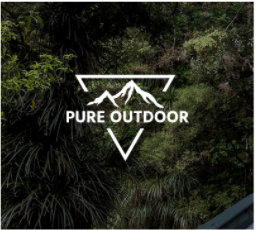 I thought I heard that some brands DO have adj truss rods - maybe they're the expensive ukes. 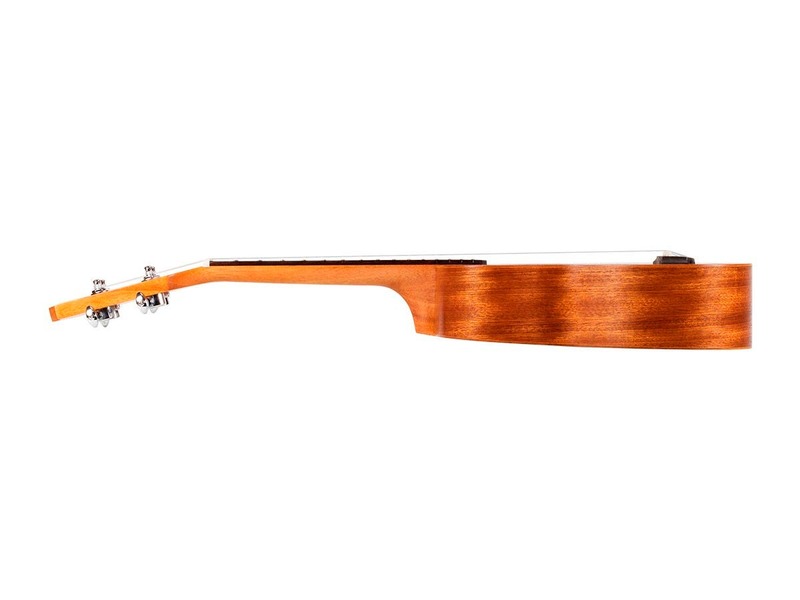 Maybe on more expensive ones (I doubt it) plus the only way a truss rod would lower action is if the neck had a bow. And it would be very difficult for the 4 short thin strings (on one this small) to put enough force on the neck to bow it. Come on. Seriously? It's a 25$ ukulele. Actually...it's a $30 Uke, and my question is perfectly valid regardless of price. I want something that can be set up to PLAY as opposed to some slack jaw playing cowboy cords 6 inches over the fretboard. Can this be restrung for a lefty? BEST ANSWER: I’m a musician, though not an expert on the uke. I imagine that this uke could be restrung lefty, as it seems pretty symmetrical. It’s a nice little instrument, much better than you might expect considering the price. But I really don’t know if reversing the strings might put excess tension in an area for which it isn’t designed. Oh, now THAT is a great question. I have no business answering, BUT, please do find a "guitar shop" or luthier in your area prior to purchasing. I've had this ukulele for over a year, bought three more for family and friends. All of us are happy with this little wonder. I don't see any issue with that since the instrument is symmetrical.. You will no doubt have to replace the nut or if possible turn it around to accommodate the correct string diameters. Yes. This is a great little instrument with a durable case. It can be strung for right or left handed players. Yes, it can be restrung. The uke is almost completely symmetrical, so you could restring however you need to. i don’t see why not. It’s a superb instrument, just love mine btw! I don’t see why not. Really deal! BEST ANSWER: Due to copyright laws we do not have music available. There are several sites that offer music and tablature for all of your favorite songs. Tons! All over the Internet for Sale and FREE. 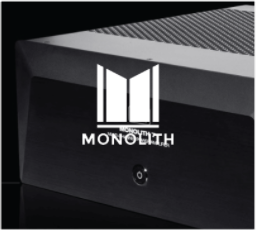 Unfortunately, Monoprice does not sell any at this time, but Amazon does. Good books to buy are the Daily Ukulele and Mele Aloha if you like Hawaiian. Instructional books and chord charts are also available and you'll need one or both if you don't have an instructor. 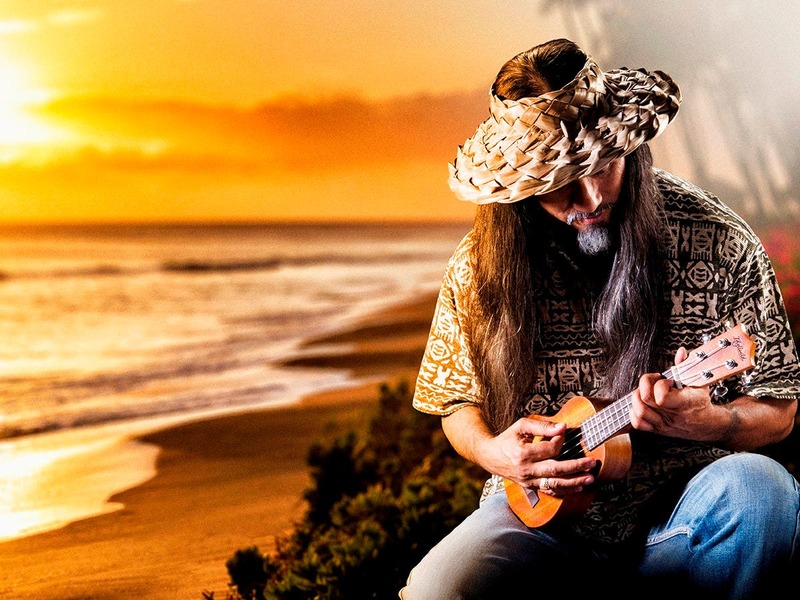 There are also Ukulele clubs all over the world which would love another member and have friendly folks willing to help you further your playing. Many of these clubs have websites or Facebook pages with tabs (words and chords) which are downloadable. 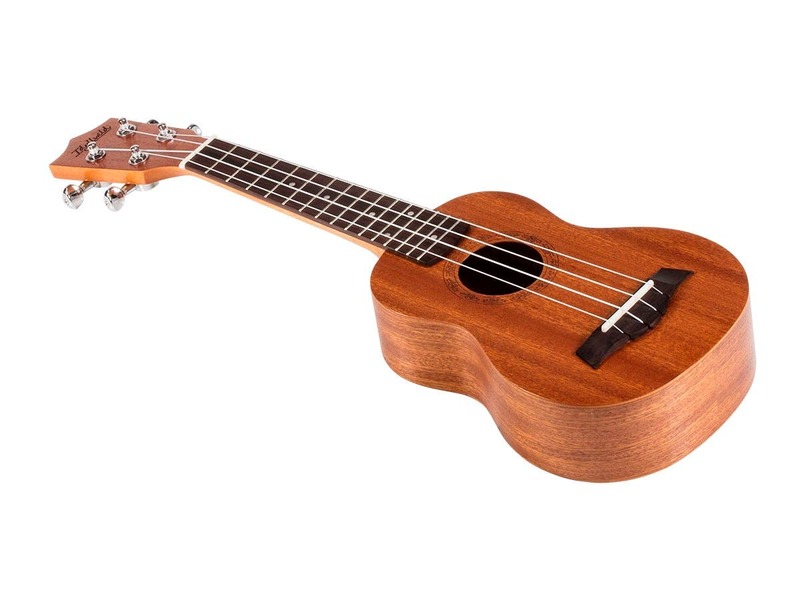 I haven't seen a better deal on a Ukulele than this little Idyllwild, I have bought four of them for my friends and students and they always play great out of the boysx and are well made. Be sure to order one of the clip on tuners that Monoprice sells to go with your Uke. Good luck! The item itself doesn't come with any music, but music is definitely accessible through the internet. If you look up "[insert song title] ukulele chords" there will be a few sites, most of which provide chord charts so you know how to play each chord. They are very helpful! I'm guessing what you mean. If you're talking about sheet music, any sheet music for guitar will do. There are some ukelele training books to get you started. I've got an old Wendell Hall instruction book from the 1920s. No sheet music included with the instrument if that's what you're asking. Plenty of that available elsewhere though along with tutorials on Youtube. 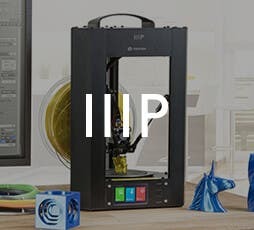 NOTHING COMES WITH THE UKULELE, DO NOT KNOW IF MONOPRICE HAS AVAILABLE. 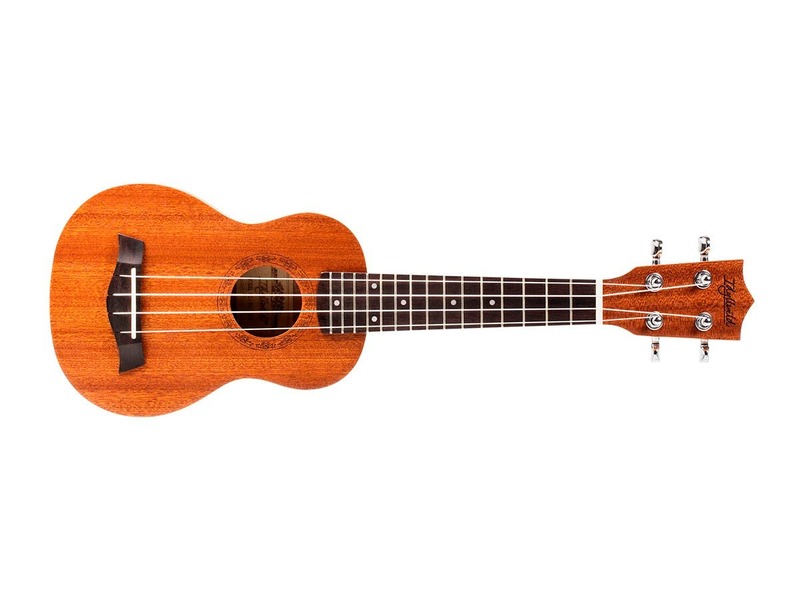 What size is the ukelele? soprano, concert or tenor? 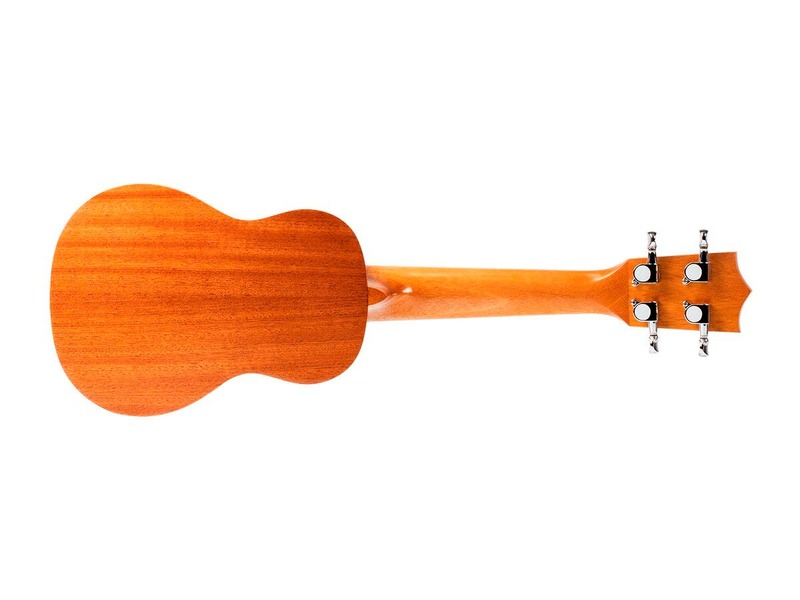 BEST ANSWER: From the tip of the headstock to the base of the uke, it's 21 inches. The scale length seems to be 13 5/8"
21", it's a standard sized soprano ukulele. Does it use laminate construction (laminate top, sides, and back)? BEST ANSWER: Hard to tell but most likely laminate at this price point. Laminate is not necessarily a bad thing. I have 2 other ukuleles, a Kala and a Washburn. The quality is comparable to them and the tone is good. It is a playable instrument. 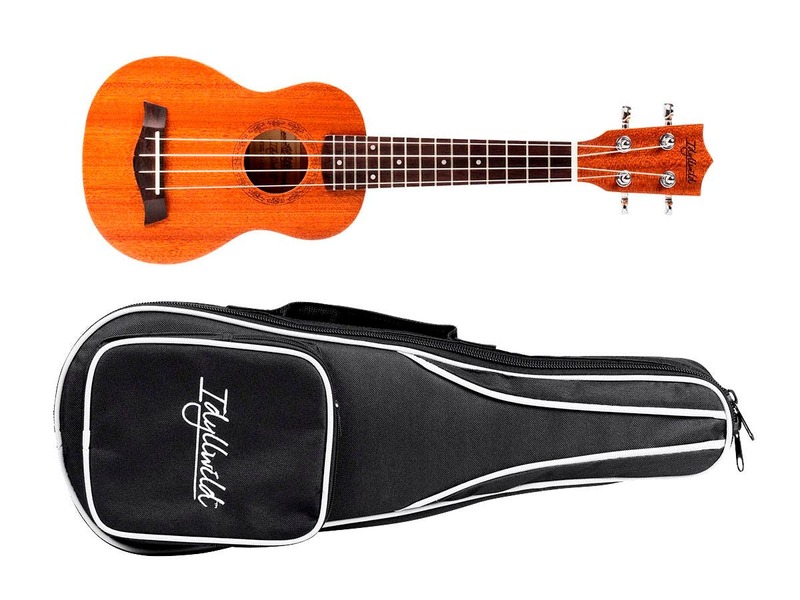 Purchased for kids taking Ukulele classes and you can't beat the price. The sound was actually decent, I have Kamaka's and Mele Ukulele which cost upward of $800 and these actually sound pretty good for the price. I purchased 3 of them and all three was consistent in sound and build quality. The bag was cheap so I would suggest purchasing a real hard case to prevent damage. I took a chance and was pleasantly surprised. I've seen better but not many. At this price, I expected this ukulele to be "serviceable" but it turned out to be a great value. Even my Uke teacher was surprised.Having spent more for just a gig bag, I didn't expect much but after tuning, it was good to go with a solid sound that I would put in the same class as my more expensive ukes.Overall, I would recommend this ukulele to both beginner and the experienced alike. It is a very solid performer. This Ukulele was a Christmas gift for someone and apparently was a big hit! My friend has taken a couple of online classes and is on his way to playing like a pro! Yes! It's so cool. It came with it's own storage bag and everything! Great buy and great looking instrument. I did good! If you're a beginner and wanting to try uke out without spending loads of money, you will not regret this purchase. This is personally my first owned ukulele, but I've used others of varying prices/quality. The sound is really nice, no muddy sound. 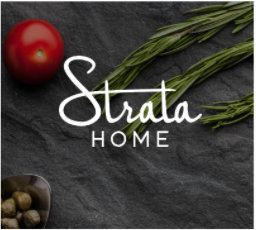 The headstock and fretboard have no imperfections, and the strings are Aquila which are go-to strings for many professional uke players. You definitely get more than what you pay for. Sounds great for price, but the nut on the neck came loose within 30 days. Bought these for a Christmas gift swap. It was the most in demand present at the gathering. Great Uke, well made and fun to play. Had to buy it for that price and surprised how well all of the seam connections were put together. Amazing value: Great build quality - great sound. Man, this was a black friday blowout from my son, a gag gift. The gig bag is worth more than what he paid. Fret ends very sharp, haven't touched yet but not a deal breaker. The good is it is a sweet little guy. I was playing tunes in the first hour. I really like it as the wood is nice, good strings, decent tuners. I don't think you could get a better deal than this. Learning? You can do worse with an instrument.